Since the very beginning of PayPal and others, tech savvy entrepreneurs have gravitated to the financial world at an increasing rate. All seem to be disrupting the tradition banking, finance, wealth management, currency, security and investing world. Some are even inventing new solutions to old monetary problems. It is an exciting space to be in however it can be very competitive, heavily regulated, etc. If you are starting your fintech company, or still in the fine-tuning growing stage, our advice is to definitely read up on the industry, seek advice, seek funds, learn from companies like paypal, AngelList, Kickstart, Wealthfront, ZhongAn, Oscar, Credit Karma, etc so you could get a better overview of what you are getting yourself in. As for the marketing, it still comes down to dealing and serving humans. 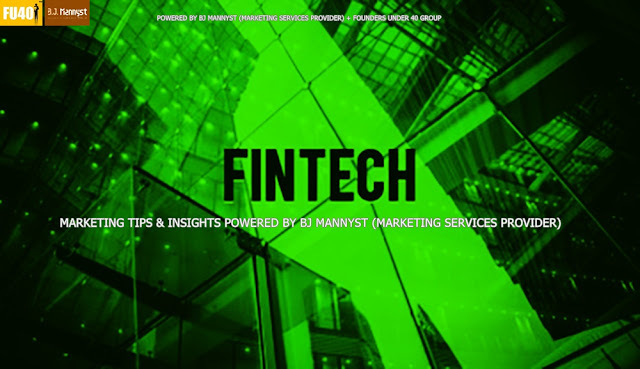 We, Manny + BJ Mannyst + Founders Under 40™ Group, have taking the time to give you some thoughts to help your fintech startups and other funded service business startups. As always if you need further help, contact us. Try out our quick marketing solutions which includes quick customized tips and suggestions for a flat $214US (1 - 30 minutes session) from our team. I will list some of the realities of today's financial world and fintech world. There are somethings you should keep in mind. The consumer, products and services of the financial institutions change. So do the regulations and the technologies that are applied. Be comfortable operating within the jargon of the banking and technology sectors, and obtain good experience of modern marketing techniques. Meaning staying up to date on trends or new technology has always been a challenge. Knowledge of fintech is neither quickly,nor easily learned. Expect content marketing and social engagement to play a greater role in future marketing activities. To market in a multicultural world or diverse community it is important to understand diverse cultures. Even in the largest fintech organization, the capability to execute can be limited by the availability of local resource, budget, different priorities and the politics of reporting lines. A lot of fintech are tapping into how overwhelming the traditional financing world can be. And the fact that consumers desire to avoid the stressful and risky approach of picking individual stocks. PR when eﬀectively crafted and communicated to the target media can only help to strengthen content and natural search performance. Possibly improve conversion. Some very old-fashioned marketing activities, notably events and conferences, are flourishing alongside the latest digital techniques. Growing demographic have growing desire for something different or digital first /cloud first or sometimes just very old-school. There’s a lot of money / capital looking for work. So venture capital and many financial institutions are willing to invest in startups which means more new entrants in the fintech. Consumers of all background have grown to appreciate tools like forecasting, advice, analysis, guides or alert, tax or mortgage management from their smart phones. Banks are facing the complex switching cost involved in updating their old systems for a more modern system. Dealing with different markets regulations and cultures is never an easy management task but that’s the reality of operating in the financial space. Need lawyers. It is a crowded space and how do you plan on differentiate yourself. It is best to pick significant competitiveness differentiate-able attributes. Sometimes one has to wonder whether the new finance companies are creating revolutionary solutions or simply doing the same things as the incumbents. The reality is that most fintech are directly or indirectly collaborating with finance incumbent like the banks. You would think more competition would be great however the largest and oldest banks exert control within the chain or startup ecosystems. Trust in financial services providers has been eroding over the years. VC are not seeding entrepreneurs without the expertise or startups without the finance industry expertise. Operating a creditable bank or financial institutions can be very expensive. The bigger players are allocating investment funds to support the emerging fintech firms around the world. Making them a strong influence in protecting the evolution and discouraging the revolution. It’s almost like president of a country grooming it’s successor to continue the ways of the predecessor. The bigger banks or financial institutions don’t want more competition they currently want the ability to fend oﬀ any competitive threat. Growing customers modestly satisfied with the financial products as they did four years ago. More needs to be done to ensure that products adapt to the lives of customers not interrupt them. The fintech sector is characterized by complex, multistage business-to-business (B2B) sales processes and high value, long-term investment commitments requiring informed decision making and carefully considered business cases. Historically, this has skewed marketing activities toward those that activate or support direct engagement and relationship building within an extended sales process. It is obvious that startup founders or managers need to plan how to hire or engage marketers or specialists with strong analytic capabilities. Typically these attributes are not the natural strengths of traditional marketers. They may seek to strengthen their technical data analytic and measurement capabilities via either in-house or agency resources. More and more sales and marketing oriented organization keep having difficulty in automatically tracking qualified leads into their CRM and then through to purchase. Potentially this also points to weaknesses in the eﬀectiveness of lead nurturing in new and existing customer accounts. Failing to actively measure levels of engagement and interaction across all their channels. Again, this reﬂects a failure to create a culture of measurement. Without this type of insight into the cause and eﬀect of investments, strategies and tactics, it is hard to understand how marketing decisions are taken. Similarly, competing for mind-share with mainstream consumer, news and lifestyle apps is hugely competitive and can easily marginalize the eﬀorts of even the best funded fintech organization. A consistent focus upon better understanding site usage, traffic ﬂows and the customer’s online journey is a sign of maturity, aiding both website optimization and digital marketing strategy. A failure to invest in analytic, or to then consistently turn that data into insight, prevents the multitude of small incremental improvements to websites and / or marketing processes that will improve performance. 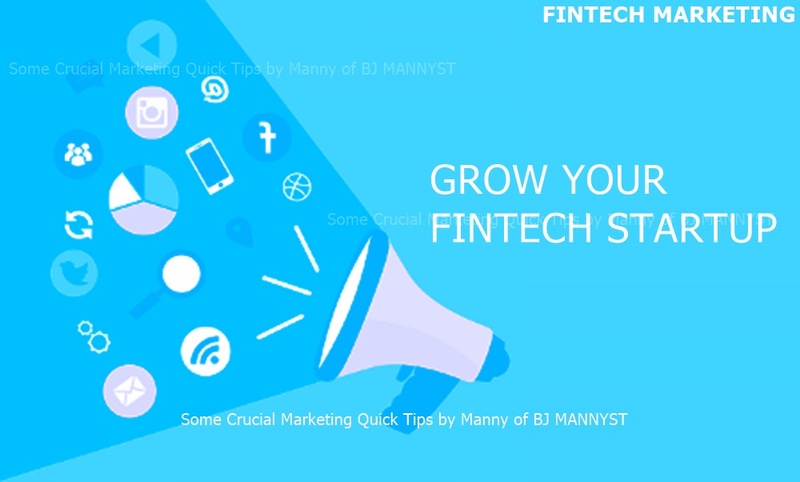 Fintech marketers need to have clear strategies for sustaining the creation, publishing and syndication of their content assets through multiple channels. Among the key challenges of doing business in emerging markets is the fact that fintech companies cannot rely on the same payments and banking infrastructure that exists in developed markets. For example, fintech companies in emerging markets can’t depend on credit scores, unified bank infrastructure, or even more basic requirements such as having IDs to verify identity (KYC) or a reliable database of addresses. China was the first emerging market to experience rapid fintech growth in the last five years and quickly reached adoption levels that are, in many segments, higher than those we see in North America and Europe. For example, KPMG’s 100 Leading Global Fintech Innovators Report 2015 lists two China-based companies in the top five — ZhongAn, an innovative online insurance player backed by Alibaba and Tencent, and Qufenqi, a large online installment plan provider. The growing adoption of blockchain technology. Blockchain is a ledger system that processes, stores and tracks digital information, from crypto-currencies to loan agreements. Because blockchain documents all changes and is hard to tamper with, financial firms and regulators see it as a potential way to make transactions more transparent, auditable and secure. 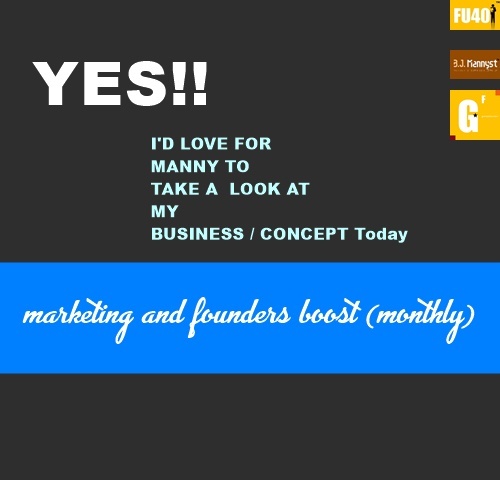 Visit (http://home.bjmannyst.com/p/contact-us.html), please contact Manny for quick marketing assistants (http://home.bjmannyst.com/p/service-test-drive.html). ***Some insight were obtained from FINEXTRA RESEARCH REPORTS. 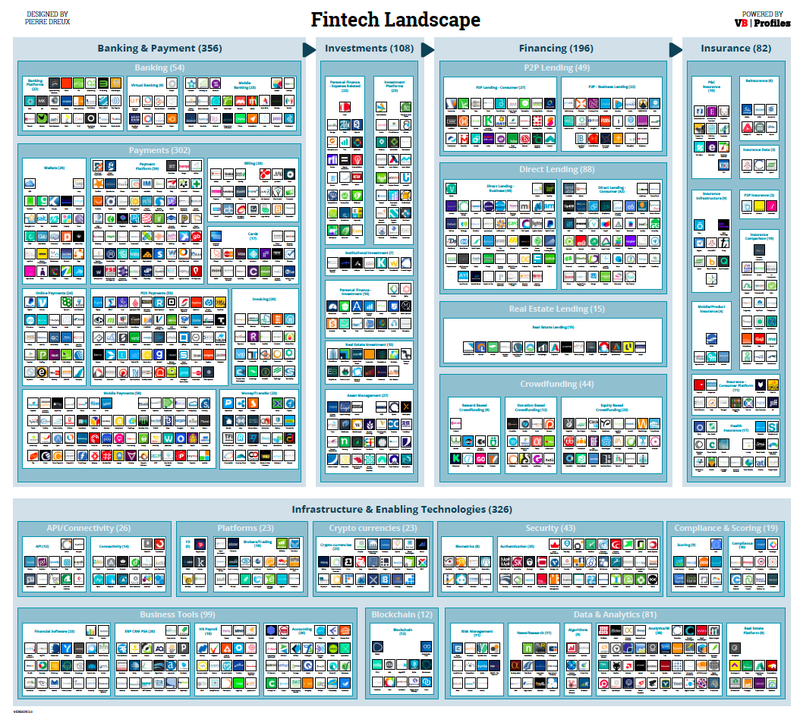 KPMG’s 100 Leading Global Fintech Innovators Report 2015 lists. We are not endorsing them just sharing some useful insights. Simply put, startup or smb marketing is a unique challenge often times because of the limited resources, whether it’s time, money or talent. The business landscape is really coming down to a battle for attention and conversion 24/7. Everyone, including your competitor, pretty much has access to almost the same tools as you but it really comes down to learning how to use it effectively. Building trust: The service industry is all about trust in people and fintech is no exception.So my dear founders of fintech startups, show your customers and your prospects how you make money, let your actions speak louder than your words, be listening and communicating, be always simplifying your processes,understand that consumers are likely not going to change to suit you. Don’t be afraid to make mistakes: Take some chances on your marketing effort however have some idea how to minimize the failures. So if you have to test on a very small scale, go for it. Discuss with others worst-case and best-case scenarios. Practice agile marketing: Meaning be lean and flexible in your marketing. Things are always changing. What might work today might not work tomorrow. Learn the art of conversion and measurement: Everything you will do for your startup or fintech marketing will be relatively easy. However doing it well, gaining the traction and conversion to stay in business will demand a lot from you and your team. Connect and attract influencers: When you don’t have multi-million dollars for marketing, get influencers. Something as simple as working with peer influencers, thought leaders, celebrities, industry leaders, media, journalist, etc just to help give your offering that extra credibility and boost. Be prepared to do some homework and pound the pavement. Create a central communication or community hub: Everyone wants to know where they can go to learn about your story, about your founders, about the industry, about the pain you are solving, etc. 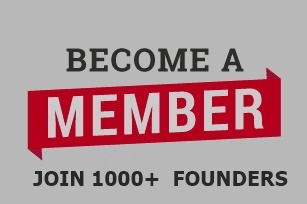 Where are you or your founders being yourself and can invite your targets to hangout with you. Oh, try to keep the tone and feel consistent to your brands identify. Reach out to web-designers, communication experts, marketers, community management, etc. Plus, you have to learn the art of timing, who should engage it, and what your contents is all about. Keep in mind to include features like readable fonts, responsive pages, search, sharing, quality images, quality control on your digital pages. For your online or offline community, learn what will resonate with your audience. State your position: In the modern world, simply building a business solely on transaction alone only takes you so far. Plus in certain situation, it will simply turn your offering into a commodity which means lower margins. However if you find a special purpose or cause you can really be more. It’s sort of like Apple iPhone versus LG Phones or Starbucks versus Dunkin Donuts.Keep this in mind as well: who should care? why should they care? What are you selling? How will it impact lives? Be very topic selective: There’s already a lot of content on the internet. I’m sure there’s thousands of article on fintech marketing. I think it is crucial to understand your audiences and presenting content that will resonate with them with your brands personality if possible. People are buying solutions and results: Most people don’t really care or want to know how a bank keeps their money safe. The technical details are irrelevant to most general financial consumers. They just want it to consistent do what it needs to do. Understand the problems however know what it is the consumer is truly buying or reason for using your financial services or fintech products. Everyone wants to connect: Every single human has a strong desire to feel connected to other humans and other life forms. So that desire for connection requires stories or relevant emotions. The AI (artificial intelligent)or driver-less cars technology might be coming but without a soul, no one will adopt them. If Tesla’s cars where not well designed in appearance both interior or exterior it will be dead on arrival. It’s all about customers and people first before money. Be very resourceful: When you are starting out or growing, being very resourceful is going to be crucial. Even Google had to bootstrap. Sometimes the simplest way to start is to connect with different people in your community or in other parts of the world. Regulatory space can be a land mine: Make sure before your first marketing activity you know what laws requires you to say or not say. Get your hands on anything possible even recruit an industry insider if you have to. Talk to people currently in the industry. Structure your business properly to make sure the law will favor you. Read up on law suites, or marketing fines or anything. Pick a good name and be clear about the personality: To create long-term brand recognition you must pick a name that helps you more than hurts you. 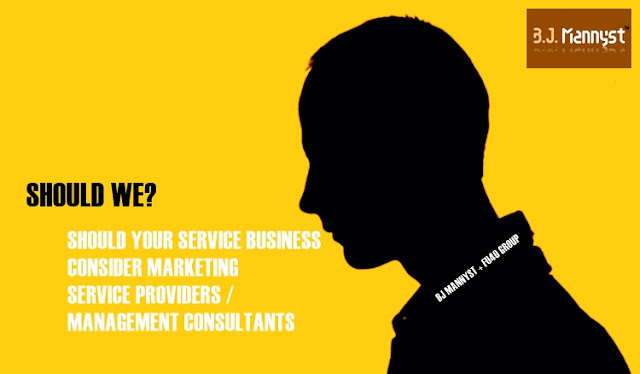 Be great at making your marketing or your service delivery be spreadable. A lot can be learned from Amazon’s early days. ***If you’d like to add to this, please feel free to comment. ***Some insight were obtained from FINEXTRA RESEARCH REPORTS. We are not endorsing them just sharing some useful insights. 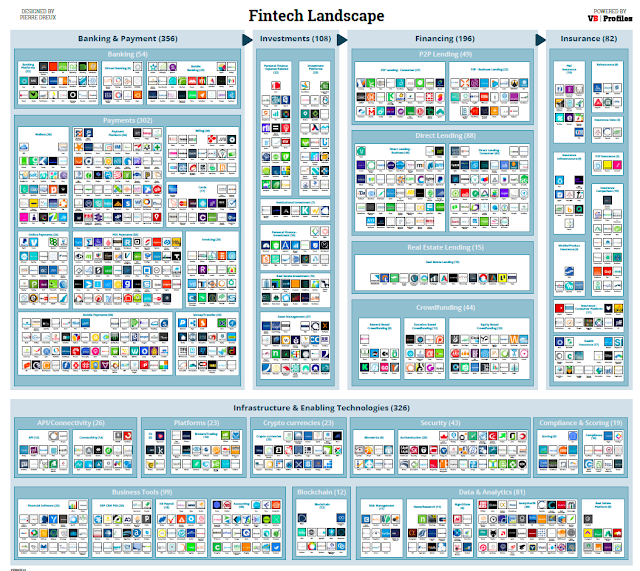 ***Source: FINTECH 100Leading Global Fintech Innovators Report 2015 by H2 Ventures + KPMG. We are not endorsing them just sharing some useful insights.